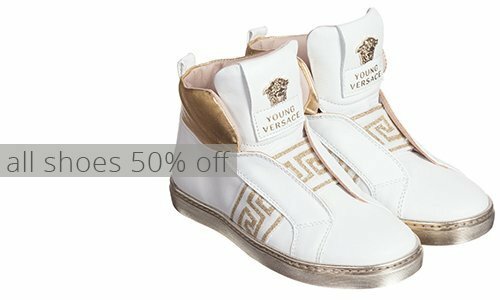 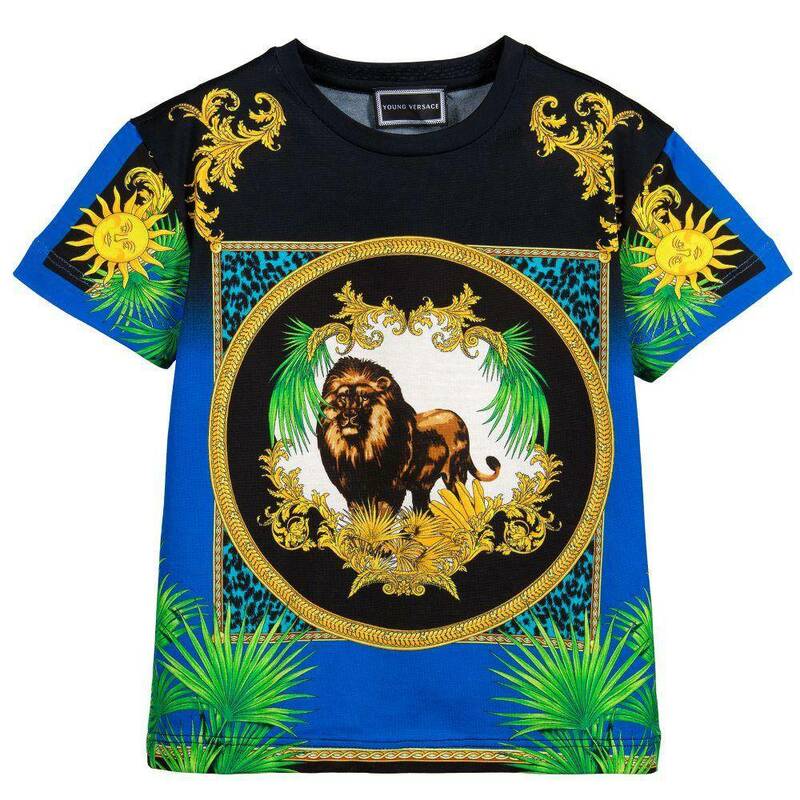 Boys blue, black, gold and green T-shirt from Young Versace. 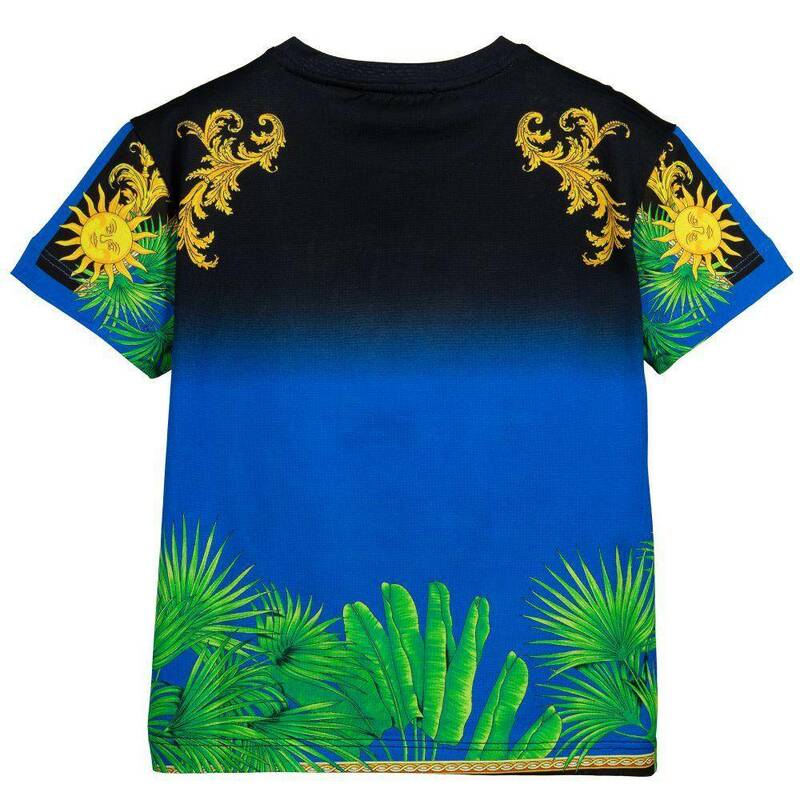 Made in luxuriously soft and stretchy cotton jersey. 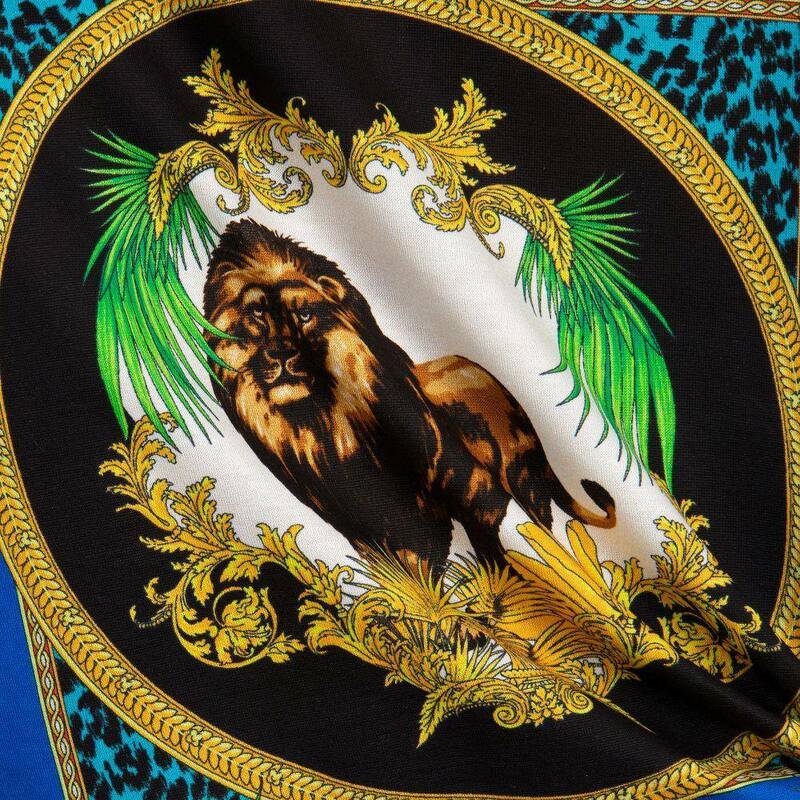 It has a beautiful lion and Baroque print.